Egidio Contatto, a man of taste and looking dapper, was attached to the concept of a music-hall show (beside the strip-tease acts). 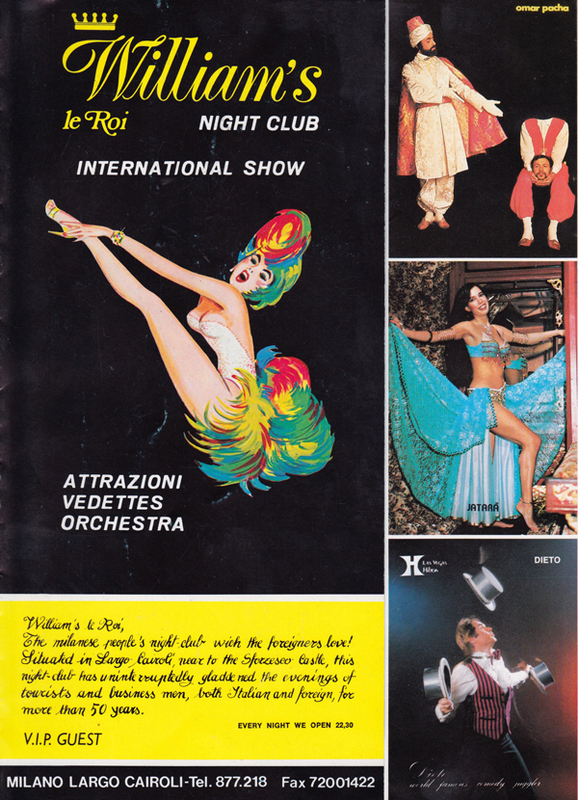 In each program, he booked at least one renowned international act, such as artists having worked at the Lido in Paris. After seeing Omar Pasha in Paris, at the Milliardaire nightclub, we were booked multiple times at the Williams.